We weren’t voted Best Buffalo Deli for nothing! 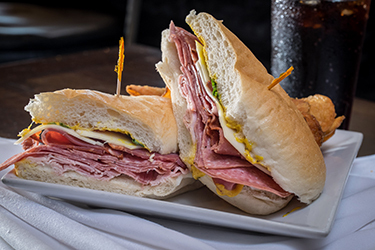 Joe’s Deli offers a great variety of classic and specialty sandwiches in Buffalo, NY. These creative sandwiches are packed with flavor & sure to satisfy! 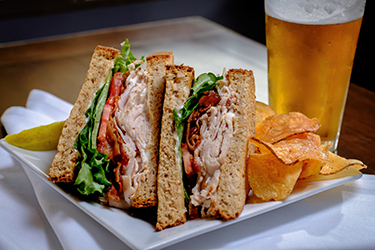 Why not order the I Love Lucy, our take on a classic turkey club, or our neighborhood favorite, The Body, a large sandwich with a fresh taste and a little kick. Having trouble choosing? We suggest the Hertel / Colvin, named after our first location! 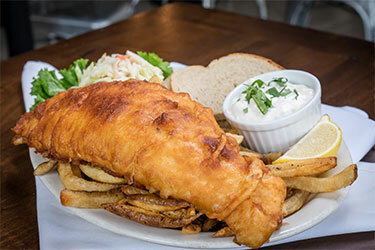 Order now for pick-up at 716-875-5637 or dine in. Choose ONE deli meat and cheese. Includes lettuce, tomato, onion, and your choice of mayo, oil, or mustard. 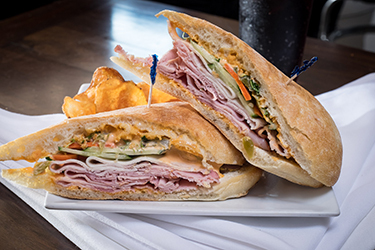 Spiced pork loin, Sahlen’s ham, pickled carrots, jalapeño slices,topped with fresh cucumber slices, cilantro, and spicy mayo on toasted ciabatta. FYI this sandwich has a kick! Spiced capicola, Sahlen’s ham, salami, and provolone, with mayo,mustard, sliced tomato, and fresh basil on a hoagie roll. 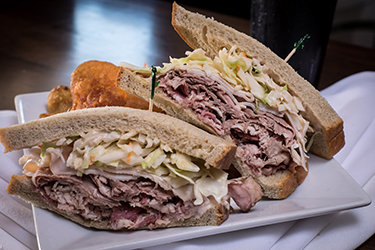 Pastrami, roast beef, and turkey breast with Russian dressing and coleslaw on seedless rye. 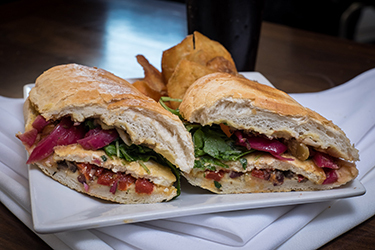 Marinated crispy tofu, olive salad, hummus, roasted red peppers, pickled onions and arugula on grilled French bread. 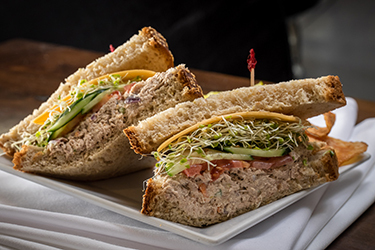 Homemade tuna salad with cucumber, tomato, and sprouts, topped with cheddar cheese on multi-grain. Turkey, bacon, lettuce, and tomato with mayo on toasted multi-grain.